Be the first to leave a comment for this product. Today's lifestyles expose us to numerous pollutants from many sourcthese toxins es including the air we inhale, water we drink and the food we ingest. It is important to eliminate these toxins safely and with peace of mind. 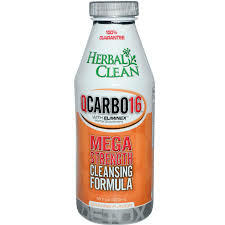 QCARB016 confidently provides reliabilty and satisfactionfor your cleansing needs and improved lifestyle. Best when taken on an emptyy stomach; however if you have a sensitive stomach, you may eat something light (like toast or crackers). 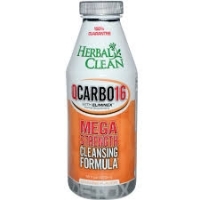 Cleansing is beneficial prior to any diet and excersise program. Water, Dextrose, Fructose, Vegetable, Glycerine, citric acid, artificial flavor, sodium benzoate, potassium sorbate, malic acid, phosphoric acid, F, D & C red No. 40. Warning: Do not use this product if you are pregnant, brestfeeding, have kidney or gallbladder, disorder or disease. This product is not recommended for prolonged use. This product is made with botanical herbs. When using this product you may experience nausea, dizziness, diarrhea or cramping. If you start to experience any of these symptomspersist seek in medical assistance. As with all herbal supplements, this product is not recommended for children without the supervision of a parent or gaurdian.